Mariana is from Brazil, an amazing country that unfortunately, due to all the budget cuts, had to cut off student scholarships at federal universities. For this reason, Mariana put her eyes on another country that will bring her more opportunities and new experiences, Canada! Mariana will walk away with the $4,000 grand prize to help her study in Canada! Prabhat is from Nepal and he moved to New Jersey to began his undergraduate education. In the United States, Prabhat has made new friends and shared his culture with his fellow international peers. It’s there where he found out what his true passion was: a camera. He wants to go home and share with his people everything he has learned while being abroad. 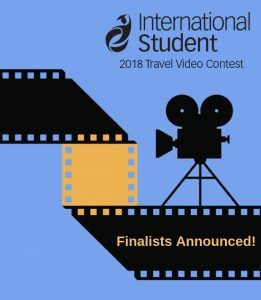 Prabhat will receive $500 to help him pursue his dream of sharing the beauty of Nepal with the world! The third place winner ($250): Hoang Thuy Ha with Why Later? Hoang is from Vietnam and found in dancing a therapy that made her a more confident person. She found this passion at the age of 30 and advises you not to wait any longer to follow your dreams. She will take home $250 to help her study dance therapy abroad. 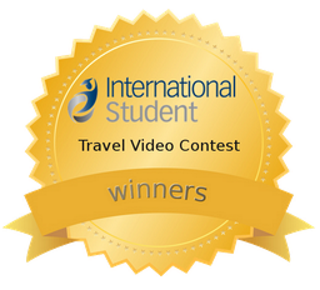 Next year InternationalStudent.com will host their annual Travel Video Contest and you won’t want to miss out! Check back on September 2019 for your chance to enter the contest!